Imagine the battery on your cell phone is at one percent. No matter how long you charge it, it will never go past one percent. You realize that this lack of energy production limits how long you can use your cell phone, and even limits what applications or programs you can run. If you use your cell phone for any amount of time, it will simply power down. Individuals suffering from mitochondrial disease live everyday with something similar happening inside their body. What is Mitochondrial Disease? Mitochondrial disease is when the mitochondria in a person’s cells do not produce a sufficient amount of energy. In some cases, they are not efficient at producing energy, and in some cases, they just stop working altogether. There are a lot of different symptoms that individuals with mitochondrial disease face and the symptoms vary depending on what part of the body is affected by the disease. In most patients, the mitochondrial disease affects the parts of the body that require the largest amount of energy. A person with mitochondrial disease is suffering from mutations in the mtDNA or nDNA. Mutations may happen spontaneously, or they can be the result of a genetic malfunction. Since mitochondrial disease only affects certain tissues of the body, researchers are still learning what factors lead to its growth, why it affects certain tissues, its growth patterns, and its triggers. While one of the primary functions of mitochondria in your body is to create energy, the mitochondria have hundreds of different functions. For this reason, there are literally hundreds of different mitochondrial diseases. Each one of these diseases will produce different abnormalities, different types of pain, and will present unique symptoms. This is one of the reasons why it is difficult for doctors to diagnose mitochondrial disease, especially in the early stages. Mitochondrial disease is harder to diagnose in children. This because as you age, there are noticeable changes that naturally occur in your mtDNA. Additionally, the aging process itself can have an abnormal mitochondrial function that is not necessarily because of Mitochondrial disease. What Is It Like to Live with Mitochondrial Disease? For many people, the horrific symptoms of mitochondrial disease start when they are children. However, since mitochondrial disease is considered to be a rare disease, most medical professionals don’t look for it at first. It is not uncommon for people to spend decades of life looking for the why of their pain. Dealing with mitochondrial disease and the subsequent pain is mentally and emotionally taxing, especially as the disease starts to affect your nervous system, your muscles, your heart, and your lungs. As your body’s ability to create energy decreases, your organs that require the largest amounts of energy to function begin to shut down. It is difficult to imagine how frustrating it is for mitochondrial disease sufferers to endure things such as stroke-like episodes, autonomic nervous system dysfunctions, muscle breakdown, and pain without understanding why these things are happening to their body. For some sufferers, the pain becomes so intense that they need to use a wheelchair for mobility. Breathing is agonizing and requires the use of a ventilator. IVs are required to stabilize a malfunctioning autonomic system. One of the biggest challenges with mitochondrial disease is that it presents itself differently with different people. So while you may have a certain set of symptoms, someone else you know with the disease may have a completely different set of systems. You may be battling with severe nerve pain, and another individual may be battling developmental delays, they might lose their vision, they might lose their hearing, or they might need feeding tubes for nutrition. The pain, confusion, frustration, and lack of information about mitochondrial disease makes it a very lonely disease for a person to have. It is very easy for sufferers to feel like no one else understands what they are going through. They become detached, and they pull away from friends and family. Living with mitochondrial disease is a challenge. While researchers are working hard to develop a cure, there is a lot more work to be done. 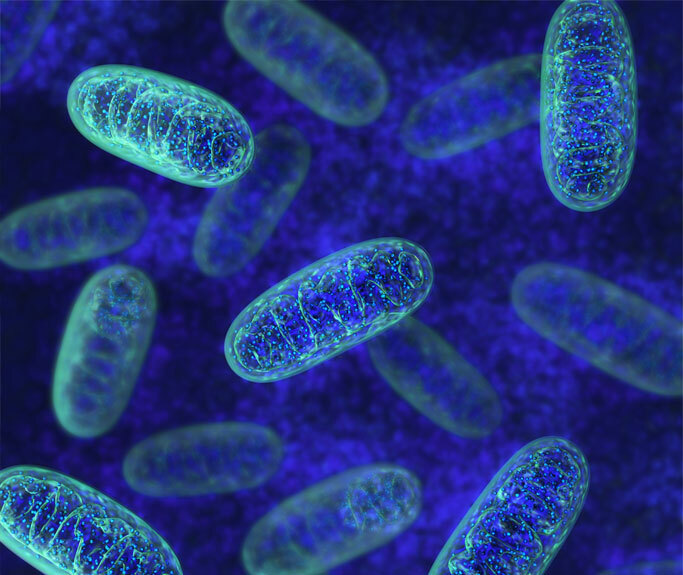 Many individuals who suffer from mitochondrial disease are hopeful that a cure will be found, but they are realistic in believing that a cure may not be found in their lifetime. We understand the pain that you are experiencing. We know that the pain is not something that you’ve invented or something that is in your mind. Mitochondrial disease is real, and its effects on your body are real. We have experience helping mitochondrial disease sufferers. We realize that the pain you are experiencing is uniquely yours, and we have no desire to try to compare your circumstances to that of other clients. What we do want to do is listen to you and work with you to create a unique pain management program. It is not uncommon for mitochondrial disease sufferers to run into medical professionals who have basically given up on them. We will never give up on our clients. We will give everything we have to work with you to help minimize the discomfort you are feeling, teach you to manage your pain, and provide you with long-term and short-term pain management techniques. Mitochondrial disease is insidious. It is painful, and it threatens to take over your life. Don’t let it win. Let us use our skills to help you live the quality of life you deserve.